Gawler Public Library now offer a large collection of downloadable eBooks and audiobooks including classics, new releases, nonfiction and bestsellers. You can check-out and download up to 10 titles at any one time. Login with your current Library Membership number and PIN. On the 31st October 2018 Wheelers eBook platform will be phased out. This means that any books you have checked out will no longer be available to read on your device. And all holds will be cancelled. From the 31st there will be a single eBook portal for SAPLN users (OverDrive - using the Libby App). This is also accessible through the Libraries SA app and has over 40, 000 titles!! Zinio has now changed to RB Digital and is the world's largest online magazine resource for libraries. The new statewide subscription offers all South Australian public library customers access to over 400 full colour digital magazine titles, many of which are Australian. Ancestry provides access to a wide range of unique resources for genealogical and historical research. And is available from all computers located within the Library and via the Library's wireless network; however is not available for use outside the Library. Contains information based on actual selling prices for over 90,000 items from art antiquities, antiques, collectables, retro, vintage and 20th century design. The Guide is fully indexed and can be searched by category/subcategory and by keyword. New items are constantly being added. This is not an online marketplace for antiques and collectables. To source newly-stocked items for sale, go to AntiquesPlus which can be used freely without subscribing. However, a subscription will be required to display prices and dealer details on AntiquesPlus. Whilst your doctor is the best source of diagnosis and treatment advice, there are many websites that provide general health information. We've reviewed some of the popular health websites to help link you to the information you are seeking. 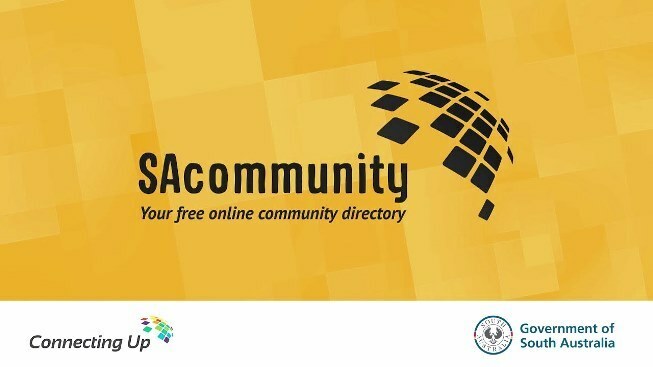 SAcommunity is South Australia's community information resource. Its purpose is to enable you to: find out about help available from government, non-government and community services throughout SA. Trove is an exciting, revolutionary and free search service. With MILLIONS of Australian items, Trove is an unrivalled repository. Whether you're tracing your family history, doing professional research, reading for pleasure, teaching or studying, Trove can help. Has self-paced, online computer skills tutorials aimed at beginner and intermediate level. Covers computer basics, email, internet, Microsoft Windows, Word, Excel, Publisher, and many other topics. Login to the website using your library card barcode number located on the back of your card. Free access to more than 3000 top quality courses and 136,000 video tutorials for leaning the latest commercial software, creative and business skills through lynda.com, a web-based video service. Courses cover topics such as business management, leadership, marketing, multimedia, design, web development and more. Road to IELTS is a self-study IELTS preparation course produced by the British Council to help candidates prepare for the IELTS exam. It provides access to free online self-study materials to support IELTS General Training and IELTS Academic test preparations. You can use IELTS in the library, or at home. The National Library of Australia has a large collection of digitised articles available online from their website. This includes a collection of historic Australian newspapers published from 1803 to 1954 as well as a number of eBooks that are freely available. The State Library of South Australia is the largest public reference library in South Australia with a collection focus on South Australian information and general reference material for information and research purposes. The State Library's collections are not for loan, but some materials are available on inter-library loan. Please ask Library staff for more details.